crafty goodies: Dear Santa~with Vintage Street Market! Hi everyone~~ I'm so excited to start my Christmas posts. 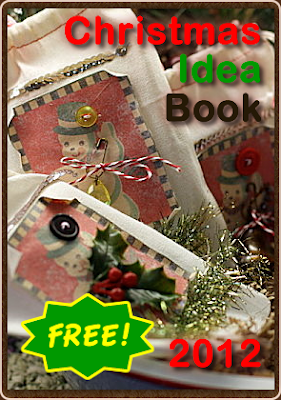 I have lots of idea for handmade gift items and some scrapbooking!!! This is a layout I did for Vintage Street Market using a Vintage Fusion Kit. Vintage Fusion: the blending of authentic vintage items, with current (ie: new) vintage inspired products, to create something entirely UNIQUE and totally reflective of YOUR PERSONAL STYLE. 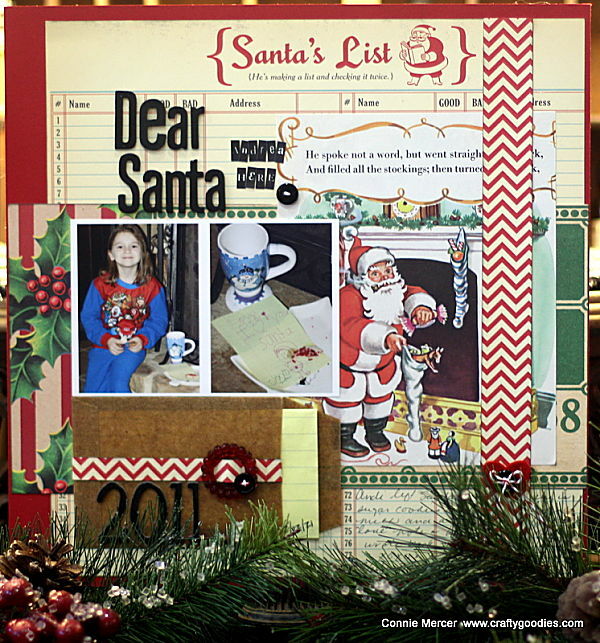 This kit had Jenni Bowlin Studio, October Afternoon, Tim Holtz and some cool vintage goodies! Thanks for stopping by and I'll see ya tomorrow for Try it Tuesday!!! Such a fab layout. I think you are the definition of vintage fusion. You do it so well! love this layout- the papers are so awesome! great minds must be thinking alike because i made a layout for my thursday post using this same paper! Wowwwwwwwwwwwww!! This is GORGEOUS!! I loveeeeee the photos, the holly and the Santa! And I saw that you won over at Lisa's blog!! CONGRATS!!! ooooo love it!!! you totally own vintage. Cute cute cute...great layout Connie..
Great page Connie!! 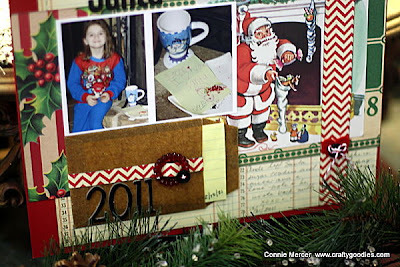 Love the use of the Red chevron pattern paper! Oh, I love the papers! Right up my alley and the layout is awesome! So love vintage!